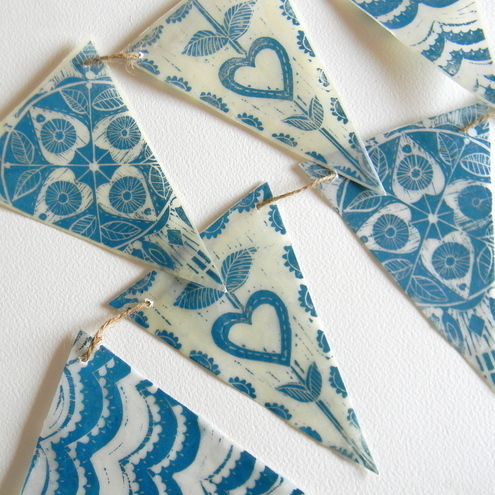 This pretty bunting is hand made from lino printed paper and wax. This delicate bunting is ideal to hang at a window or in any room, the waxing of the paper makes the print translucent, so it will let the light through. Each flag of the bunting has been hand printed and waxed in pale blue ink. Length of bunting: Approx 1.2m (without the string at each end). Each flag measures: 10cm (widest) x15cm (depth). New York City by bree,ree.